The government of Iraq’s beleaguered Prime Minister Nouri al-Maliki is paying each Iraqi recruit $500 a month to receive free military training in Iran before being deployed in Syria to fight for President Bashar al-Assad. Beirut correspondent Viviane Aqiqi reports the news exclusively today for Elaph, the first independent online Arab daily launched in London in 2001. Ms Aqiqi suggests the Quds Force unit, which is under the command of Maj. Gen. Qassem Soleimani and is responsible for the “extraterritorial operations” of Iran’s Revolutionary Guard, has so far recruited and trained in Iran and Iraq some 5,000 Iraqi Shiite militiamen to fight for Assad. She specifically names nine Iraqi militia organizations feeding recruits to Assad via Soleimani. As’ib Ahl al-Haq, which has 500 Shiite fighters in Syria, led by Kays al-Khazali. Kata’ib Hezbollah in Iraq, which has 600 men fighting for Assad under the command of Haj Hashem al-Hamadani. Kata’ib Sayyid al-Shuhada, which has 400 men fighting for Assad under the command of Haj Abu-Mustafa al-Sheibani. Harakat al-Nujaba’ led by Sheikh Akram al-Kaabi. 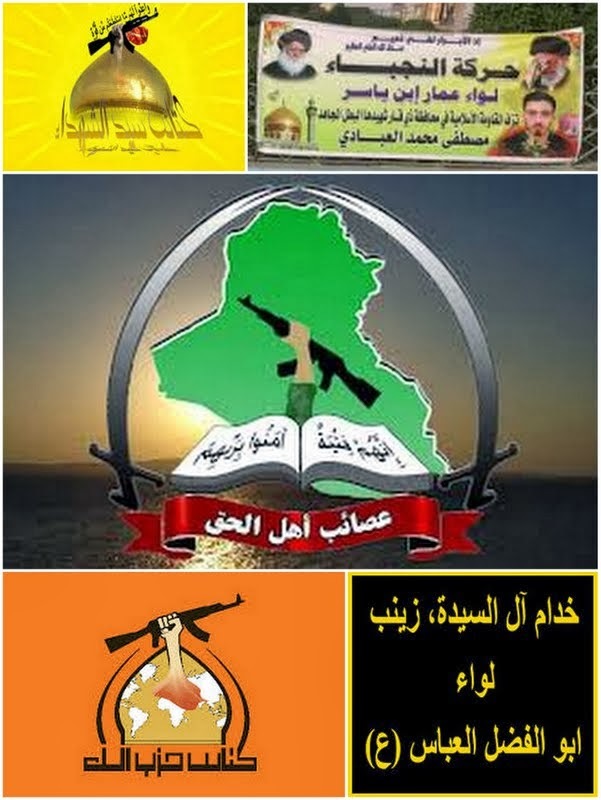 The Promised Day Brigades, the biggest Iraqi Shiite organization with nearly 2,000 men fighting for Assad. Saraya Tala’i al-Khurasani, whose leader Ali al-Yasiri has 200 men under his command. Martyr Mohammad Baqir al-Sadr Forces comprise 300 militiamen led by Mohammad Jaafar. Liwa Abul-Fadl al-Abbas, the most renowned of the Iraqi Shiite militias with 500 men fighting for Assad. Imam Hussein Brigades, a brigade of 150 fighters headed by Abu-Shahd al-Jabbouri. On 5 November 2008, the day following the U.S. presidential elections, Elaph reached an all-time record high of 18 million hits. As a result of its popularity and international readership, Elaph.com became one of the leading news portals in the Arab world. The website was officially audited by the Audit Bureau of Circulations (ABC). Its traffic was certified in May 2010, producing ABC’s certificate of 1,179,801 users and 8,565,601 page impressions. Also based on August 2010 data, the website had 1.3 million global users per month.